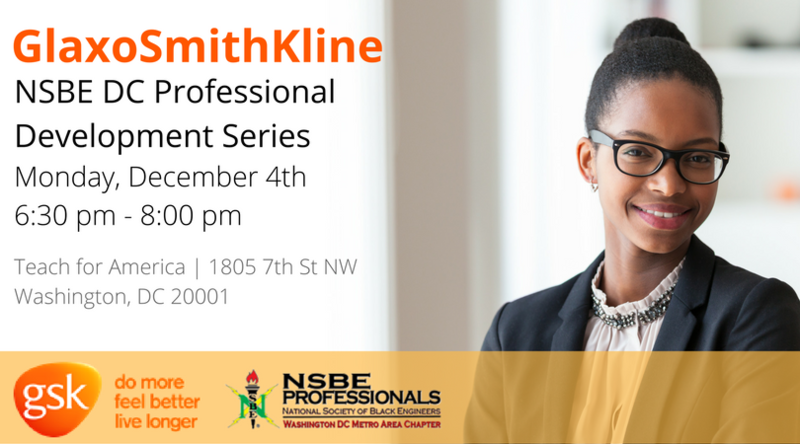 Save the Date for our December 4th Professional Development Meeting sponsored by pharmaceutical company GlaxoSmithKline (GSK), at 6:30 pm. The meeting will take place at Teach for America, 1805 7th Street NW in Washington, DC. Check out GSK and their opportunities at https://www.gsk.com/. The location is Metro-accessible (short walk from the Shaw-Howard Metro Station, Green/Yellow Lines). There is paid street parking around the building.